Yogyakarta is one of the tourist destinations in Indonesia visited by many foreign tourists. Directly adjacent to the southern part of the province of Central Java, Yogyakarta has many interesting sights. Any tourist in Yogyakarta which must be visited? 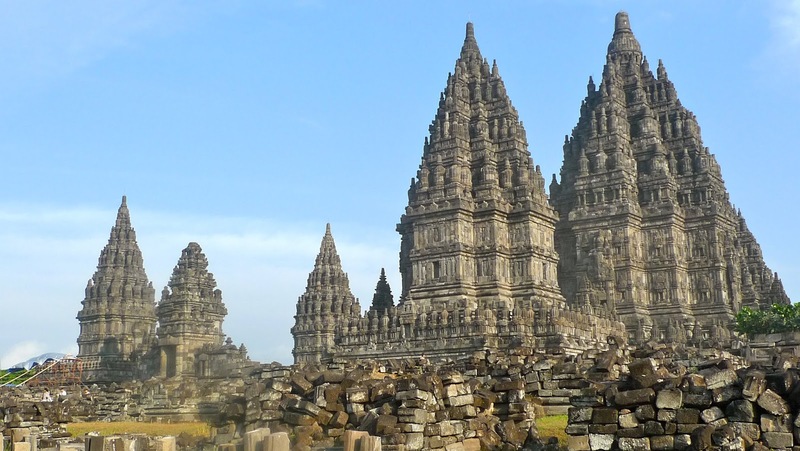 Prambanan temple is one of the tourist attractions in Yogyakarta that must be visited because of Prambanan is the largest Hindu temple complex in Indonesia. Additionally, Prambanan is also decorated with carved reliefs around the temple and told the story of Ramayana and Krishnayana. 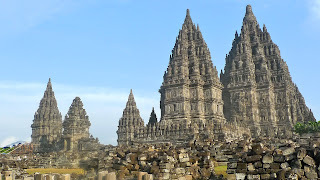 Prambanan is located sektiar psuat 17 KM from the city of Yogyakarta. If you do not bring personal vehicles, to achieve the Prambanan Temple you simply use the bus and get off at the stop Prambanan, very easy to reach Prambanan. 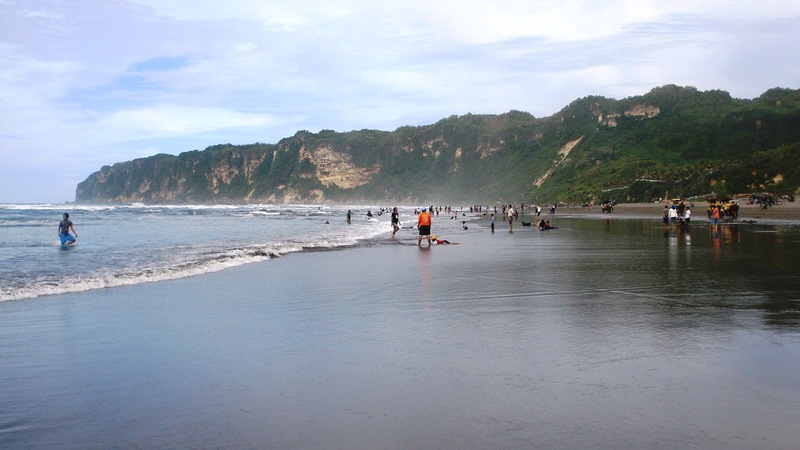 Parangtritis is the most famous beach in Yogyakarta, Parangtritis thus deserve to be called as one of the tourist attractions in Yogyakarta that must be visited. 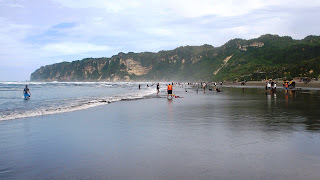 Located about 25 KM south of downtown Yogyakarta, Parangtritis is a beach located on the shores of the Indian Ocean that has the characteristics of waves and currents are quite hefty. The uniqueness of Parangtritis is the so-called dune sand dunes around the beach. If you want a different experience, you can try playing paragliding in Bukit Parangndog, Parangtritis. 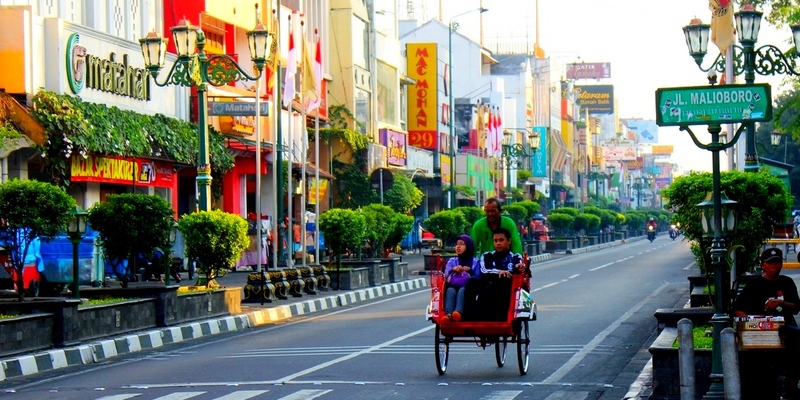 Malioboro is the name of a street in Yogyakarta. 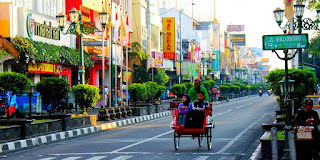 Malioboro Street is very famous and has become one of the tourist attractions in Yogyakarta that must be visited, even for a photo at Jalan Malioboro only marker we often have to queue up in advance. Jalan Malioboro name is derived from the Sanskrit language and has the meaning wreath. What makes Jalan Malioboro so famous? Jalan Malioboro offers the experience of shopping and dining are endless. At noon, along Jalan Malioboro you'll find many sellers of clothing, bags, sandals, key chains, handicrafts, batik, accessories, and other unique items that can be bought cheaply. While at night, you'll find lots of typical food vendors Lesbian along Jalan Malioboro Yogyakarta. The thing I liked in Jalan Malioboro is the presence of several people who dressed in unique, for instance dressed as a soldier, pocong, zombies, and others. We can take pictures with them by voluntary fees. Jomblang Goa is a tourist cave located in Gunung Kidul, Yogyakarta. Goa Jomblang a vertical cave that has a primeval forest in it. 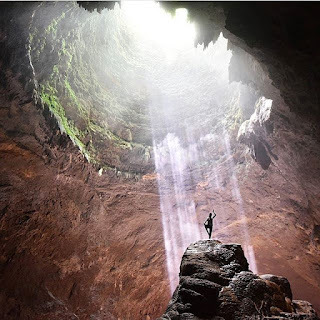 In addition, if you come to Goa Jomblang on 10 hours until 12 pm, you will be able to see the light penetrating the cave which is often referred to as the light of heaven. The beauty and uniqueness of Goa Jomblang making it one of the tourist attractions in Yogyakarta that must be visited. Rafting Citra Elo is one of rafting in Yogyakarta. Rafting Citra Elo is the most suitable for families or beginners because the current is harmless when compared to other rivers around Yogyakarta. 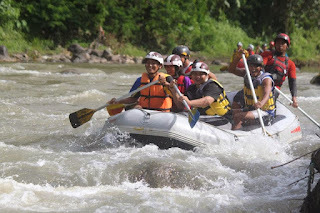 Additionally, Rafting Citra Elo also can be played anytime, unlike other rivers in Yogyakarta which mostly only navigable during the rainy season only. 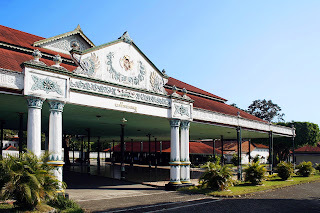 Keraton Yogyakarta is one of the tourist attractions in Yogyakarta, a bustling. 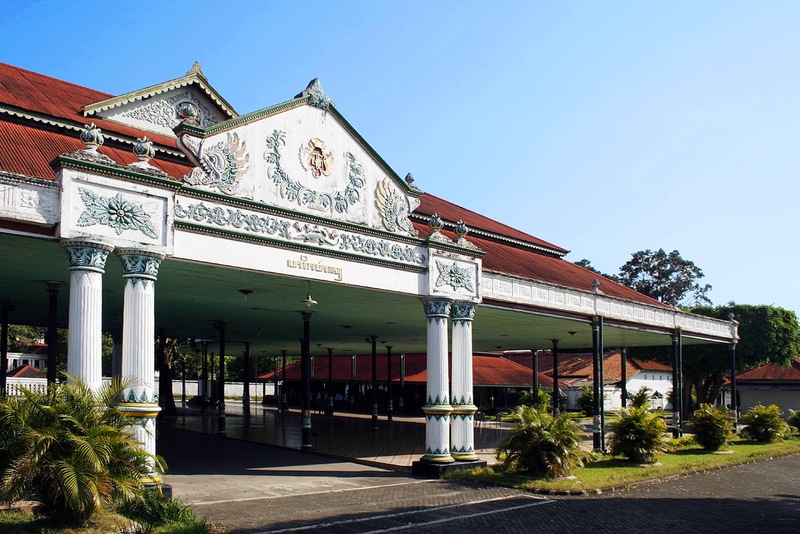 Sultan Palace is a historic building which is occupied by the sultanate of Yogyakarta Sultan and his family. Besides being able to enjoy the architecture of ancient sultanate, you can also visit the museum that has a collection of items of Yogyakarta which is partly a gift from the king of Europe. If you want to come to visit these places, there came a little early because of the Yogyakarta Palace is open from 8 am until 2 pm only. 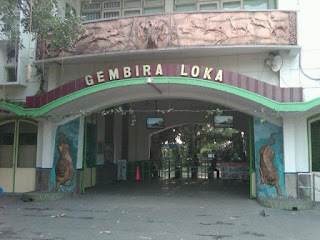 Excited Loka Zoo is a family tourist attractions in Yogyakarta who have a large collection of animals from various places in the world. Besides being able to see and interact with different types of animals looking like zoos in general, you can also play in some games contained in Happy Loka Zoo. Rides in Loka Zoo Fun ie pond fishing, water bikes, ATV, perahukayuh, riding elephants, camels, and others. The admission price Loka Zoo Fun is 25,000 rupiah per person. Mount Merapi is one of the mountain around Yogyakarta. Mount Merapipakan most famous mountains in Yogyakarta, and is one of the favorite locations' nature lovers who like mountain climbing and enjoy the beauty of the sunrise at the peak. 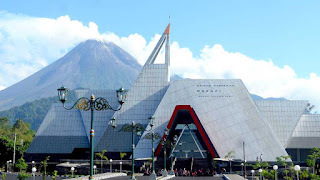 The admission prices tourist area of Mount Merapi is 3,000 Rupiah per person. Borobudur is located in Magelang is one of the excellent tours around Yogyakarta. Famous to various parts of the world, Borobudur is a Buddhist temple in the world's greatest. Located about 40 kilometers from Yogyakarta, Borobudur is still visited by monks on pilgrimage as a monument of Borobudur is a model of the universe which is a sacred place. For entry into Borobudur temple area, you must use gloves to be lent at the entrance of the temple of Borobudur. Borobudur temple is a temple that has reliefs and statues of Buddha in the world. Although not located in Yogyakarta, Borobudur is always visited by tourists visiting Yogyakarta. 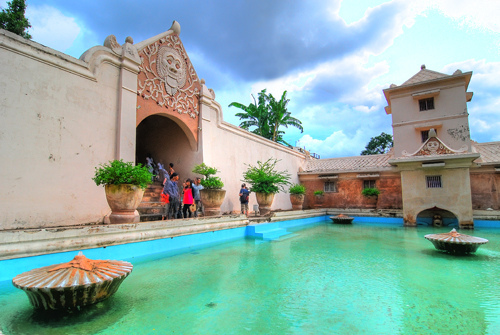 Taman Sari Water Castle is a place of recreation and meditation for Yogyakarta royal family in antiquity. Moreover, Taman Sari Water Castle also serves as a bulwark against enemy attack. Currently, Taman Sari Water Castle is one of the tourist attractions in Yogyakarta is famous because of its uniqueness. The air around the Taman Sari Water Castle also cool because there are many artificial ponds accompanied by sweet-smelling flower garden. The admission price Taman Sari Water Castle is 5,000 rupees.